Furthermore, we know that to really change the trajectory of any behavior we cannot only work on the individual but we must also work to change the environment that the individual lives in. Given the notion that we have to work within the system of the individual along with the system of the environment that also includes society as a whole, provides the prevention workforce incredible challenges. Clearly prevention, evidence-based, successful prevention, is a very multifaceted ever-changing construct which has certain characteristics that not only prevention professionals need to understand but it is critically important that society as a whole, organizations, management, and political leadership need to also be aware of. 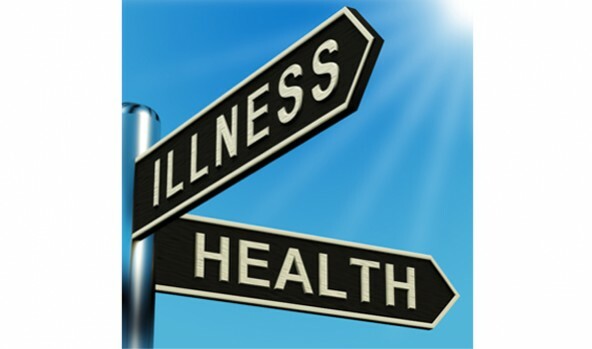 Evidence-based prevention characteristics- The field of prevention is immersed in a disciplinary approach that utilizes many theories and models from many other sciences such as; psychology, sociology, public health, and environmental sciences. Because a human being and their environment are extremely complex systems , the need for academic professional prevention workforce development is paramount; yet the current global prevention workforce system is one that allows individuals to enter the field with nothing higher needed in most cases than a high school diploma. The skills and competencies that are needed for today's prevention professional to be successful are daunting to say the least. Today's prevention workforce to be effective needs to be well versed in concepts, theories, and models such as; risk and protective factors theory6, systems thinking, logic models, geopolitical environments, issues, and policies, strategic planning, evaluation, facilitation skills, cultural sensitivity, behavioral models, sociology and community engagement, mental health and abnormal behaviors, drug categories and individual drug analyses, diffusion of innovation theory , leadership theories, developmental models and aging, social norms , media and marketing strategies, gender health and prevention, environmental approaches, integration principles, relationships between substance abuse prevention and injury and violence prevention9. The list can go on but I think my point is made, which glaringly eludes to the tremendously extreme disparity between the degree of high, large, positive prevention results that are expected from the public, upper management, departments, politicians, organizations, local and state governments, versus the reality of having a prevention workforce that is largely and extremely ill-prepared, under-educated and underfunded by hundreds of millions of dollars just in my home state of New Mexico along . Under the current conditions how can we expect population level change prevention results in underage drinking, DWI, drugs, etc.? The current prevention workforce is also stuck in a system that fosters working in silos and only allows for minimal impact. It is quite apparent by the impossible unfunded demands put on the current prevention workforce, that our leaders, funders, local governments, and many others do not understand why we are not getting the results we all want. ‍Systems thinking; how other systems influence prevention- Systems thinking  is the process by which we attempt to expose the conditions supporting the problem or symptom rather than merely reacting to it. Systems' thinking considers all the intricately woven factors and influences imposed upon the problem, issue, or opportunity and allow examination of how each relates to the other and interacts as a whole. Rather than breaking a problem or opportunity into small pieces and then isolating the pieces in order to study them, perhaps it is more useful to study the entire problem or opportunity. In this way patterns, trends, and systems emerge providing an opportunity to consider both the intentional and unintentional consequences of actions to be taken. It is far easier to get caught in the reactive trap of addressing symptoms when one is focused on a small part without the context of the bigger picture. What is important to understand is that everything that we do in prevention is positively or negatively influenced by other systems in our world that we may or more than likely may not have control over. Prevention is a system, a school is a system, a government is a system, a family is a system, a community is a system, a city is a system, politics in itself is a system, identified resources is a system, networking partners is a system, a DWI Planning Council is a system, the Board of County Commissioners is a system, and media is a system, just to name a few. All these systems are open, perpetually changing, and interconnected; every time anything is changed at any one system it affects all the other systems. These relationships need to be understood and prevention strategies need to maximize any positive relational influences that exist between systems while minimizing negative relational impacts to the extent possible. ‍Flavor of the month approaches- We have the tendency of collectively overreacting to any new trend that comes along without strategically thinking the impact funding and other resources would have by diverting from one area of prevention, such as curbing underage and binge drinking to addressing for example prescription drug abuse; these tendencies have a huge impact on the overall prevention landscape. A few years ago Meth was a huge flavor of the month, currently it is prescription drugs, and other trends come and go. Although I am not advocating that these trends not be addressed, my point is that our prevention strategies have to be largely based on CORE-ROOT CAUSES while utilizing risk and protective factors theory and other relevant research-based principles. Just by placing a huge amount of our resources on any one single trend we miss the big picture, which are the underlying reasons (individual and environmental) as to why youth and others are looking to involve themselves in such ill, destructive behaviors in the first place. ‍Coordinated Statewide Prevention- Although an argument can be made for having local community level control of prevention programs, the research  points out that unless there is a central statewide entity, that may not necessarily control the funding, but rather coordinates and guides prevention efforts, there will always be the silo effect of individual programs working in segmented areas without cohesive, and collective system-wide guidance, while always subjected to the mercy of uninformed community politics and individual agendas. Partnerships between programs facilitate the sharing of information, materials, and expertise. Facilitates complementary and supplementary programs. Leads to a system in which the whole is greater than the sum of its parts. The benefits of coordination are compelling and beneficial to the public. Increased capacity and improved quality of services to individuals and communities because of shared knowledge and improved planning. Statewide prevention coordination largely eliminates political agendas, unwarranted interference, and individual power plays at the local level. If there is to be a systems wide prevention integration approach, federal and state coordination is absolutely critical. Prevention and systems integration- In June of 2011 the Federal Government released the first ever National Prevention Strategy. The National Prevention Strategy's vision is working together to improve the health and quality of life for individuals, families, and communities by moving the nation from a focus on sickness and disease to one based on prevention and wellness. This Strategy envisions a prevention-oriented society where all sectors (systems) recognize the value of health for individuals, families, and society and work together to achieve better health for all Americans. Aligning and coordinating prevention efforts across a wide range of partners (systems) is central to the success of the National Prevention Strategy. Engaging partners across disciplines, sectors, and institutions can change the way communities conceptualize and solve problems, enhance implementation of innovative strategies, and improve individual and community well-being. Health and wellness are influenced by the places in which people live, learn, work, and play. Communities, including homes, schools, public spaces, and work sites, can be transformed to support well-being and make healthy choices easy and affordable. Healthy and safe community environments include those with clean air and water, affordable and secure housing, sustainable and economically vital neighborhoods (e.g., efficient transportation, good schools), and supportive structures (e.g., violence free places to be active, access to affordable healthy foods, streetscapes designed to prevent injury). Healthy and safe community environments are able to detect and respond to both acute (emergency) and chronic (ongoing) threats to health.Making places healthier requires capacity for planning, delivering, and evaluating prevention efforts. A prevention-oriented society can be supported by integrating health and health equity criteria into community planning and decision making whenever appropriate; maintaining a skilled, cross-trained, and diverse prevention workforce; strengthening the capacity of state, tribal, local, and territorial health departments; implementing effective policies and programs that promote health and safety; and enhancing cross-sector data sharing and collaboration. This is the national vision representing 17 heads of departments, agencies, and offices across the Federal government who are committed to promoting prevention and wellness. Critically important to understand is the significant relationships between interdisciplinary prevention professionals and all community partners. A wide range of actions contribute to and support prevention, ranging, for example, from a small business that supports evidence-based workplace wellness efforts, to a community-based organization that provides job training for the unemployed, to the parent of young children who works to provide healthy foods and ensure they receive appropriate preventive services. Partners play a variety of roles and, at their best, are trusted members of the communities and populations they serve. Opportunities for prevention increase when those working in housing, transportation, education, and many other sectors incorporate health and wellness into their decision making. ‍Professional workforce development- Arguably, this is the most important area that needs to be addressed and brought forth to individual and community needs of the 21st century. Many studies and assessments have been done in this area, and they all point out the stark inadequacies of the workforce in the field of behavioral health prevention15. Inadequate knowledge and expertise of the competencies the workforce needs to meet current and future challenges. Lack of clear, concise, public health prevention profession classification categories. A lack of a professional workforce education and expertise in advance specialization areas and disciplines such as systems thinking, direct services, environmental strategies, problem id and referral, policy and advocacy, community private sector, public sector, and volunteer sector engagement. An absence of consistent public health professional credentialing requirements. Ineffective and inefficient training that mostly includes single-session didactic workshops. More critically, recent findings have exposed that today's members of the prevention workforce regularly struggle with the ambiguity of the rules, regulations, standards, and procedures that manage service delivery, and which sometimes conflict with one another. These rules may also not be grounded in an evidence base. They frequently limit professional decisions and judgments, and can severely limit efforts to tailor interventions to individual need. Productivity is reduced because of administrative burdens, most notably those involving extensive and often repetitive documentation. ‍Workforce potential solutions- We need to expand the current workforce capacity by utilizing a system or a number of strategies that allow for a very broad-base empirical prevention knowledge base across multiple disciplines. One way of accomplishing this would be to infuse prevention core principles into existing curricula for teachers, doctors, nurses, social workers, psychologists, and other human services professionals. This would allow new professionals entering these fields to be equipped to utilize evidence-based prevention practices into their sphere of influence. There are also numerous prospects for increasing the knowledge base of the existing human services workforce. Professional associations of teachers, school administrators, social workers, nurses, doctors, psychologists, child welfare administrators, juvenile justice administrators, and the public health field as well, can include information on evidence-based prevention practices within their national conferences and continuing education training courses. Federal agencies may also want to consider issuing workforce development planning grants for states that are specifically focused on the area of revitalizing and intensifying the prevention-based knowledge and competencies of their workforce. ‍Cultivate and multiply prevention related partnerships and coalitions- A critical part of workforce development and expansion needs to come from outside the normal boundaries of the behavioral health field. There are simply not sufficient financial and human resources to address such a complex problem as adverse human behaviors and the environmental factors involved by simply doing what the current prevention field has been doing; namely a small number of individuals attempting to prevent millions of youth and adults from risky behaviors while at the same time trying to stem the environmental tides of risk factors such as poverty, media, music, Internet, and motion picture glorification of alcohol, selfishness, and social permissiveness just to name a few. Having said this, the solution is imbedded in the simple premise that health and wellness, including behavioral health, is in the best interest of everyone and every sector of our social environment. Promoting prevention and wellness initiatives are attractive because they impact all aspects of societal functioning. For example, the case can be made that businesses should play a vital role in prevention and wellness because it would greatly influence their bottom line. Healthy and productive young people are a coveted resource for today's competitive world. Adults with children that have health insurance with their employers would arguably have lower healthcare costs thus, reducing the premiums that have to be paid by businesses. These are just a few examples of cost savings and incentives for businesses to participate, support, advocate, and even partially fund prevention and wellness. The same can be said for many other sectors in our communities (systems); coalitions, clubs, civic organizations, public, private, non-profits, volunteer, etc. need to be on the table, and a very specific targeted, sustainable effort needs to take place to bring everyone on-board to infuse prevention and wellness into the entire social environment. ‍Leadership- However, in order for such a wide net to be systematically and successfully dispersed there has to be critical leadership and coordination from federal, state, and local governmental agencies. The Affordable Care Act enacted in 2010 authorized the creation of the National Prevention, Health Promotion, and Public Health Council, a body charged with providing coordination and leadership at the federal level among executive departments and agencies in relation to prevention, wellness, and health promotion20; this National Prevention Council would be the logical place for providing leadership and coordination in addressing the need for total community engagement, and in fact the National prevention Strategy released in June of 2011and created by this Council calls for just that. In addition, we will need to look at existing data systems that can be expanded to include specific community sectors for process and outcome measures. There will also be the need to look at available or create new evidence based programs and practices that are tailored to each community and business segment. Finally, we will have to look at creating, improving existing and/or developing a segment of our prevention workforce that would specialize in wide and far reaching relationship building and partner engagement from all community sectors. Another critical area that leadership has to be involved in is the prerequisite to have a much focused mission and consistent strategy in the robust dissemination of prevention research findings. From how prevention impacts human developmental stages and what strategies are effective, to how systems and environmental interaction support or hinder quality of life. Furthermore, prevention integration models that include cost and benefits analyses need to be created and disseminated into the many different verbiage and languages of business sectors and other organizational environments. To apply it differently, prevention principles, practices, and core foundations will be disseminated universally, however additional components such as how these principles, practices, and policies will impact a particular sector of the economy or the social environment should be disseminated to be understood by using the lingo of such sector it is intended for. ‍Resources- If there is fruition in the creation and implementation of a coordinated sustainable prevention and wellness integration into every core and every component of all the sectors that make up the systems that function as our social environments, then the additional saved resources from lower health care and societal costs, along with the quality of life improvements gained, will exponentially eclipse the resources needed to realize, implement, and sustain this prevention integration systems approach. ‍Conclusion- Clearly if we want to take advantage of the research and the recent advances in prevention and wellness we have to also work on the implementation and workforce development side of the equation. The logical place for the spark needed to lead us into this direction is the National Prevention Council and the Substance Abuse and Mental Health Services Administration, SAMHSA that has prevention as its top priority , their combined leadership would put the nation in a great position to advance prevention services in all sectors of our social environment. Furthermore, the 2009 Institute of Medicine, IOM report  along with the National Prevention Strategy provide the foundational 21st century prevention and wellness roadmap to follow. Currently the infrastructure necessary to broadly and expansively deliver prevention services is not collectively been constructed, although most pieces already exist. It is time for a paradigm shift in prevention and wellness, and the tipping point is within reach waiting for leadership to strike the match. Halprin-Felscher, B. and Biehl, M. "Developmental and environmental influences on underage drinking: A general overview." In R. Bonnie and M.E. O'Connell (eds.) Reducing Underage Drinking: A Collective Responsibility, Background Papers [CD-ROM]. Committee on Developing a Strategy to Reduce and Prevent Underage Drinking. Division of Behavioral and Social Sciences and Education. Washington, DC: The National Academies Press, 2004. Hartmut, Bossel, Systems and Models; Complexity, Dynamics, Evolution, Sustainability. Norderstedt, Germany; Books on Demand, 2007. Meadows, Donella, H., Thinking in Systems; A Primer; Chelsea Green Publishing, 2008. Hawkins, J.D. ; Catalano, R.F. ; Kosterman, R.; Abbott, R.; and Hill, K.G. Preventing adolescent health-risk behaviors by strengthening protection during childhood. Archives of Pediatric and Adolescent Medicine 153:226-234, 1999. Rogers, Everett M. (1983). Diffusion of Innovations. New York: Free Press. ISBN 978-0-02-926650-2. Perkins, H. W. & Craig, D. A. (2003). "The Hobart and William Smith Colleges experiment: A synergistic social norms approach using print, electronic media and curriculum infusion to reduce collegiate problem drinking". In H. W. Perkins (Ed. ), The Social Norms Approach to preventing school and college age substance abuse: A handbook for educators, counselors, clinicians (Chapter 3). San Francisco: Jossey- Bass. Hoaken, P. N. S., & Stewart, S. H. (2003). Drugs of abuse and the elicitation of human aggressive behavior. Addictive Behaviors, 28, 1533-1554. Gerald M. Weinberg (2001 - revised) An Introduction to General Systems Thinking. Dorset House ISBN 0-932-63349-8. Fagan, A.A., Hawkins, J.D., Catalano, R.F. (2008). Using community epidemiologic data to improve social settings: The Communities That Care prevention system. In M. Shin (Ed.) Toward positive youth development: Transforming schools and community programs (pp. 292-312). Oxford; New York: Oxford University Press. Institute of Medicine. (2000). To err is human: Building a safer health system (L. T. Kohn, J. M. Corrigan, & M. S. Donaldson, Eds.). Washington, DC: National Academy Press. Institute of Medicine (2001). Crossing the quality chasm: A new health system for the 21st century. Washington, DC: National Academies Press. Institute of Medicine. (2003). Health professions education: A bridge to quality (A. C. Greiner & E. Knebel, Eds.). Washington, DC: The National Academies Press. Blankertz & Robinson, 1997b; Center for Health Workforce Studies, 2006; Gellis & Kim, 2004; Hanrahan & Gerolamo, 2004; IOM, 2003, 2004; Zurn, Dal Poz, Stilwell, & Adams, 2004.